Captivating panoramic views across swathes of unwooded land are a highlight of any visit to the Rhön. 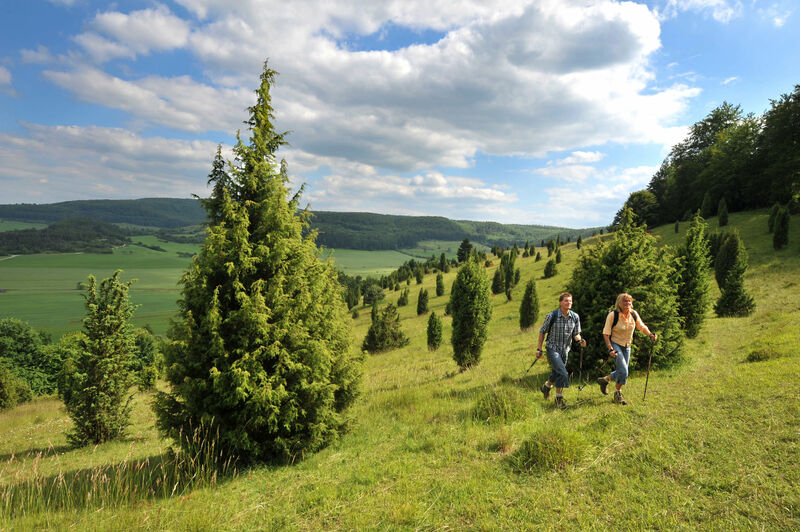 For walkers in particular, the Rhön provides an unimaginable range of opportunities of experiencing an amazing landscape. Next to the HOCHRHÖNER Premium Trail, which stretches for 180 km over the mountains of the Rhön, the region also has another 25 approved circular trails - known as "Extratouren" - as well as countless other attractive footpaths. Please get more information on the premium trails in the Rhön through contacting us via phone or email!